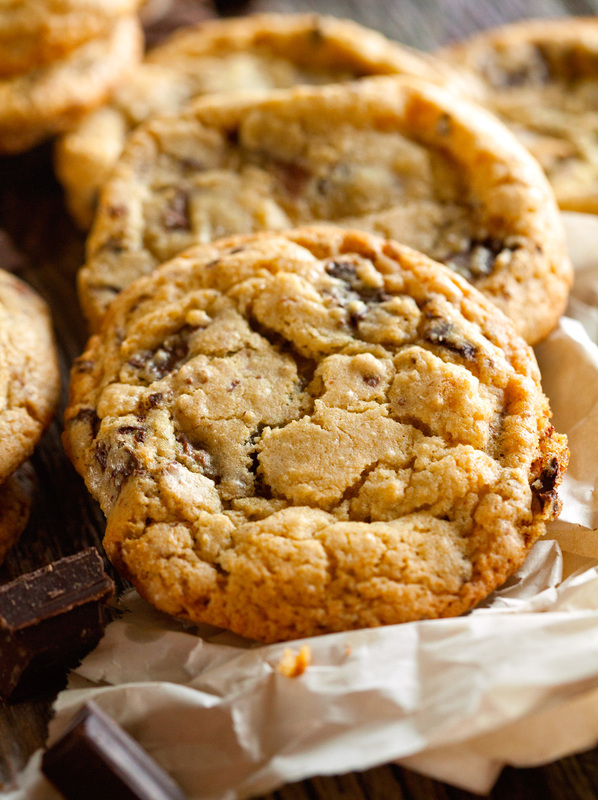 Sharing my very favorite Chocolate Chunk Cookie recipe and a few of my secret tips on how to make perfect cookies every time. I may or may not have been holding out on you with these cookies. You see, I bake these only every so often because I cannot stand being around them until I have devoured every last one. Even taking a couple of pictures is asking a lot once they come out of the oven :). 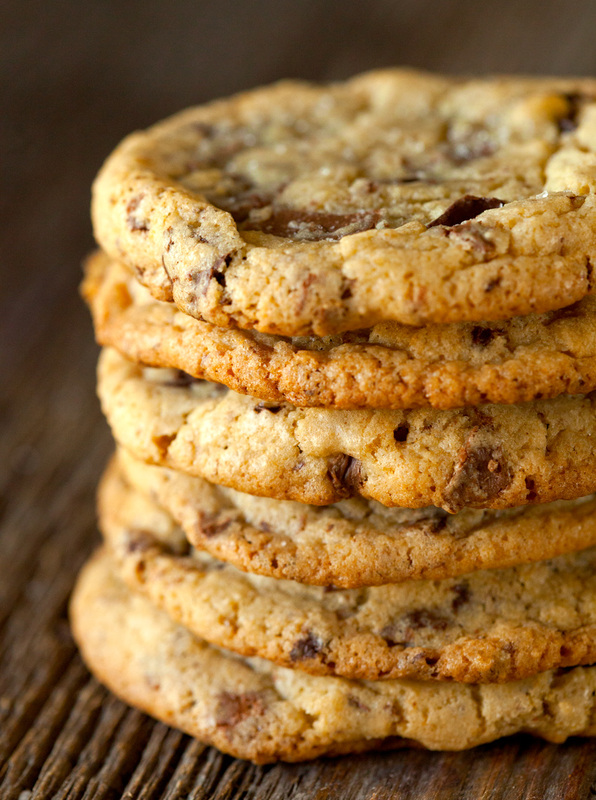 There are so many chocolate chip cookie recipes out there, but if you still haven’t found the one or are in the mood of switching things up, this is the recipe for you. It’s the one that has stolen my heart and it might just capture yours as well. When it comes to baked goods, nothing beats a freshly baked cookie for me. I would be one happy camper if I could only live on cookies for the rest of my life. I just love them so. And to make matters worse, Adam is a huge cookie monster as well, which means we pretty much always have cookies hiding somewhere. Since I am sharing THE cookie recipe today, I thought it was about time that I’d also share a couple of my no-fail baking tips when it comes to creating the perfect cookie.